Autumn is typically a busy season for The Royal Canadian Geographical Society, with many projects launching in conjunction with the start of the school year, and this year is no exception. Here's a look at what your RCGS has been up to in September. Historian, author, and RCGS Fellow Russell Potter launched a new book on the doomed Franklin expedition, Finding Franklin, on September 14 at Ben McNally Books in Toronto. Franklin fans were on hand to hear Potter discuss the book, which details the century-spanning efforts to determine the fate of Sir John Franklin and his men. Early maps were often as beautiful as they were functional, and an exhibition on display at the Toronto Reference Library until October 16 invites the public to appreciate the art of cartography. We sent one of our most beautiful maps — the vividly-coloured Canada From Space giant floor map produced using images from the RADARSAT-2 satellite — to Toronto on September 15 for a special day of learning with local classrooms in celebration of the exhibit. Canadian Geographic has chosen the best Canadian wildlife photographs of 2016, and they are truly spectacular. View all the winners here and read the judges' commentary on how they determined the top images in each category. The Canada's Coolest School Trip contest is back to give a lucky Grade 8/Secondaire 2 class the national parks experience of a lifetime next spring — in Nova Scotia! Classes have until February 27, 2017 to submit a one-minute video detailing which park they would like to visit for Canada's 150th birthday and why. The top 12 videos will be put before a public vote in March, and the winning class will receive a five-day, all-expenses-paid trip to Nova Scotia with an amazing Parks Canada itinerary that includes a visit to Kejimkujik National Park and Canada's very first national historic site, Fort Anne. 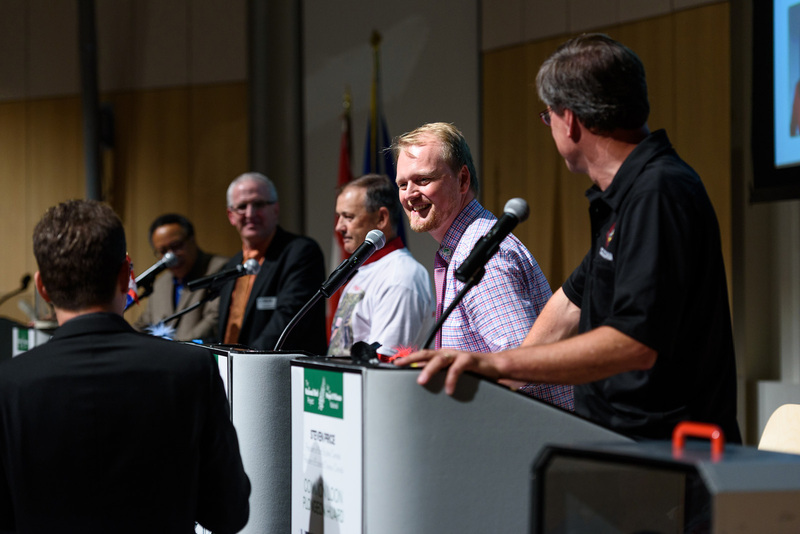 On September 22, the History and Heroes Foundation, an initiative of the Alberta lieutenant-governor's office, launched its first project, the Spirit of Vimy contest. The contest challenges Albertans between the ages of 14 and 24 years to research the Battle of Vimy Ridge and create a video essay, song, poem or visual artwork that honours the spirit and sacrifice of those who delivered the unprecedented victory at Vimy nearly a century ago. To help launch the contest, Canadian Geographic Education brought its new Vimy Ridge giant floor map to the Military Museums of Calgary, where the Lt.-Gov herself, Lois Mitchell, explored the trenches and battle lines of 1917 France. The latest issues of Canadian Geographic are available on newsstands now. 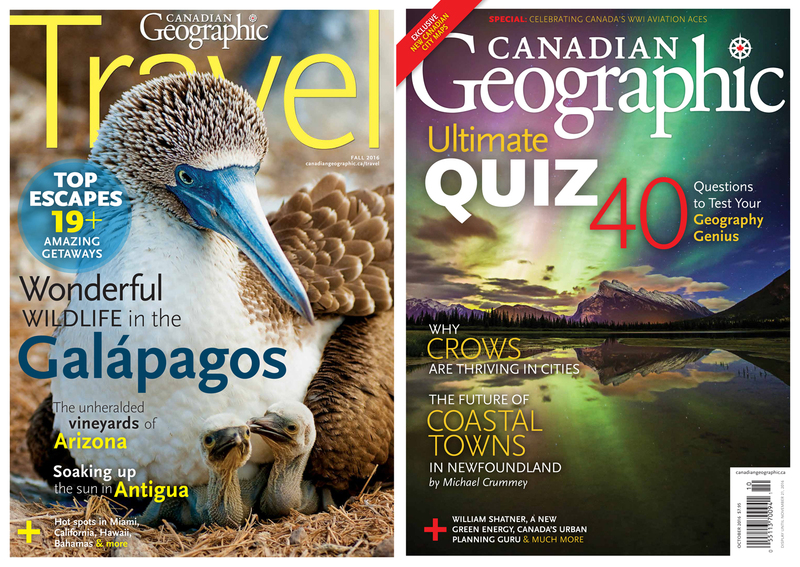 Explore exciting international destinations like the Galápagos, Antigua and the Bahamas with the Fall Travel issue, and test your knowledge of geology with the October issue. Become a subscriber and never miss an issue! Canadian Geographic has partnered with Canada's International Development Research Centre to produce stories about projects making a positive impact in the developing world. In the latest instalment, Niki Wilson explores how Myanmar is embracing digital technology as it transitions to democratic governance. The Royal Canadian Geographical Society has released 'collector's cards' featuring some of its most esteemed explorers and honourary officials. They're the perfect keepsake for Canadians both young and old who are interested in exploration and the geography of this country, and can be easily downloaded to print in the comfort of your own home! Currently available cards include: Jill Heinerth, Alex Trebek and Wade Davis. For 31 years Canadian Geographic has been holding its Annual Photo Competiton and for 31 years its been impressed with Canadians' photographic talent. This year's competition closed on September 28th. Peruse the beautiful entries here, and stay tuned next month to find out the winners!